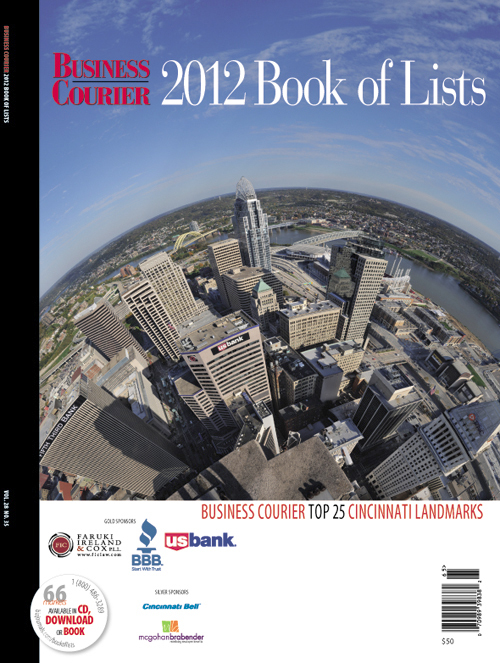 For the 2012 Cincinnati Business Courier Book of Lists cover photo, I needed to create a high resolution photograph from the Carew Tower Observation Deck. This was a close approximation of the viewpoint I used for an earlier “tower pano” that I produced for my website. A higher resolution image was needed to accommodate the large format layout of the book. This year’s Book of Lists includes the top 25 Cincinnati Landmarks as determined from a survey the Business Courier conducted. The original panorama I produced from the observation deck is used here as a starting point to experience panoramas from some of those landmarks. These are from existing panoramas I had earlier created or from new ones made just for this tour. I do not have all the landmarks represented here, but will add to this tour as conditions and time allows. So check back on occasion to see new tours as they are added. The Emery Auditorium was the home for the Cincinnati Symphony Orchestra from 1912 until 1936 when they moved to Music Hall. The acoustics of the auditorium has been compared to Carnegie Hall in NYC by the famous conductor Leopold Stokowski. Many world famous performing artists have appeared here. The Emery has been neglected for many years but there is an effort currently underway to restore and renovate this great theater. 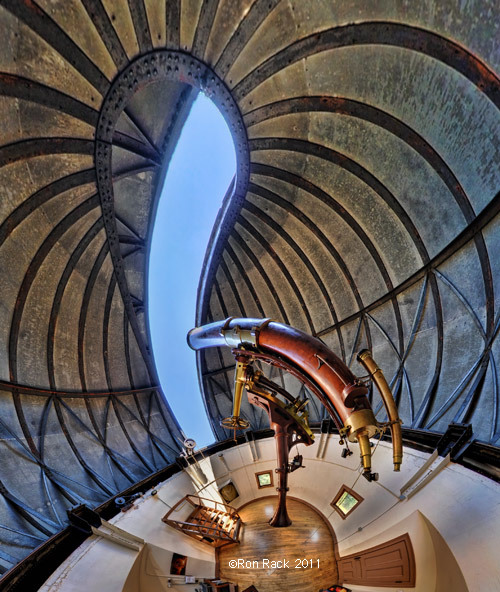 The Cincinnati Observatory is known as the “Birthplace of American Astronomy.” The 12″ Merz and Mahler Telescope was the second largest telescope in the world when it became operational in 1845, it is still in use today. 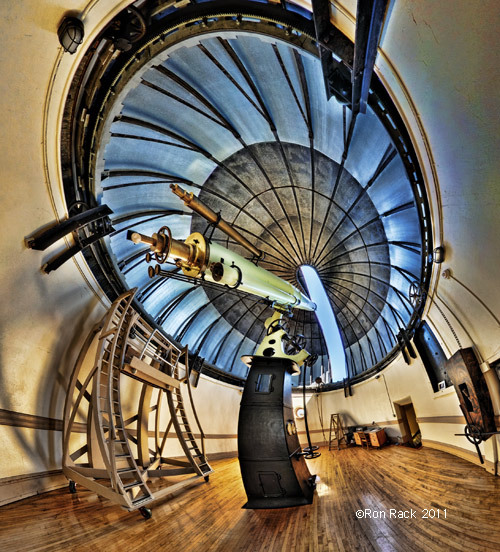 The Cincinnati Observatory was the United State’s first public observatory with the original building’s cornerstone being set by President John Quincy Adams in 1843. Union Terminal was originally built as a railroad terminal and opened in 1933. It now houses the Museum Center. 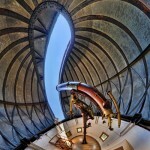 The rotunda of this architecturally significant building features the largest half-dome in the western hemishere, 180 feet wide and 106 feet high. 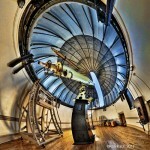 Be sure to visit the Little Planets page to see the interesting projections of these two images.